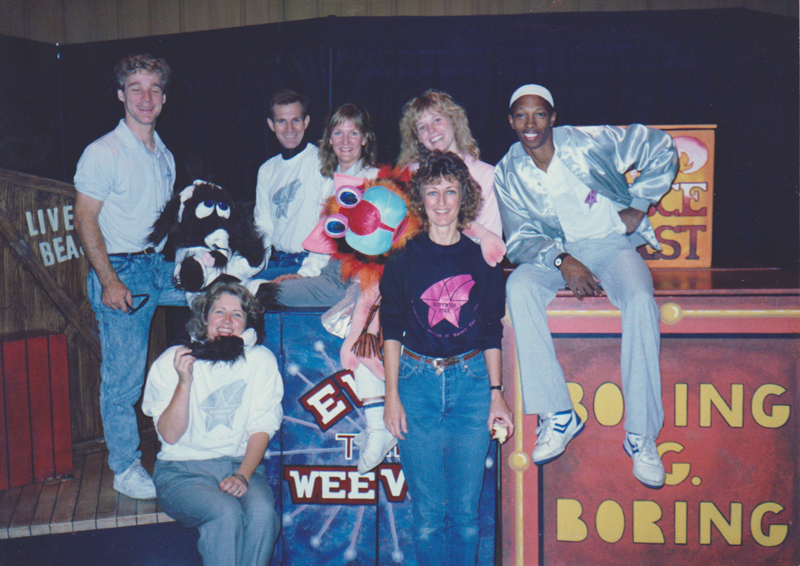 I worked for Kaiser Permanente Educational Theater Programs from 1987 to 1999. I was an actor/educator touring plays to schools and community groups. Teaching diverse audiences and working with other actors from vastly different backgrounds was one of the most profound experiences of my life regarding cultural diversity. Start the narration by clicking the play button below. Then scroll down to see images and articles related to my story. The first play we did was called Professor Bodywise's Traveling Menagerie. We used large walk-around costumes and puppets to teach healthy habits to K-6 students. My experience with Kenneth Herman (back row second from left) shaped my philosophy regarding acceptance, inclusion, and openness to people different than myself. Kenneth was the first openly gay man I knew. Getting to know Kenneth helped me get past my stereotypes of gay men. From an educational perspective, it made me more receptive to people of other cultures and started me on a path to bridging cultural differences. Kenneth died of AIDS in 1991. Secrets was the second play we toured. It was an HIV/AIDS education play designed for teens and young adults. It was based on true stories from people who had contracted HIV by various means and illustrated the chain of infection from one person to the next. After the play there was a question and answer period where audience members could get additional information about HIV/AIDS. Click on the program image to see inside. When Secrets opened in 1990, most AIDS cases occurred among whites. However, by 1996, more cases occurred among African-Americans than any other racial/ethnic population (Kronenfeld 2002). The instance of HIV infection was also rising in the Latino community. We adapted the play in a number of ways to reach these at-risk populations. As we explored more diverse audiences, we relied on different people to help us bridge the cultural and communication gaps. In 10 years we performed Secrets for more than 100,000 people. Since tracking high-risk behavior (sexual activity, drug use) is extremely difficult, it's hard to know what effect the play had on students' behavior. However, recently a woman approached me at a party. She had seen Secrets many years prior and expressed what a profound impact it had on her behavior. I remember talking with her after the show all those years ago. She was concerned about some of her behavior which may have put her at risk for HIV infection. 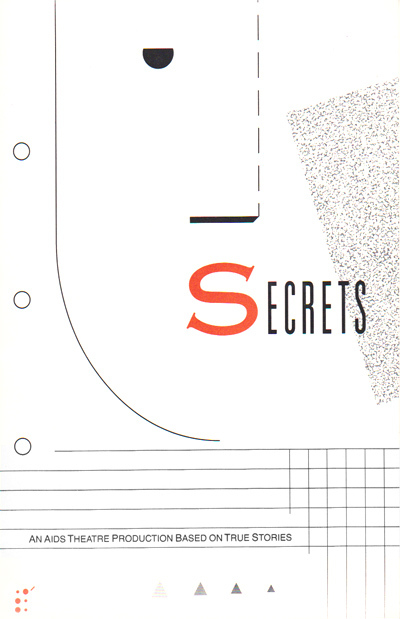 She was happy to report that Secrets changed the direction of her life with regard to relationships and sexual activity. She has been married to the same man for 19 years and HIV free. Kronenfeld, J. J. (2002). Health care policy: Issues and trends. Westport, CT: Praeger.